Denmark artist Bjarke Bendtsen, better known state-side as The Migrant, is back with his third album. Beads continues Bendtsen’s collective-style experimental/psychedelic folk-pop leanings. Loosely translated, GFRock calls the new album “A meditative journey in Nordic Americana.” Earlier this month, the band gave us a video created by a woman named Mary for album highlight “The Pony”. 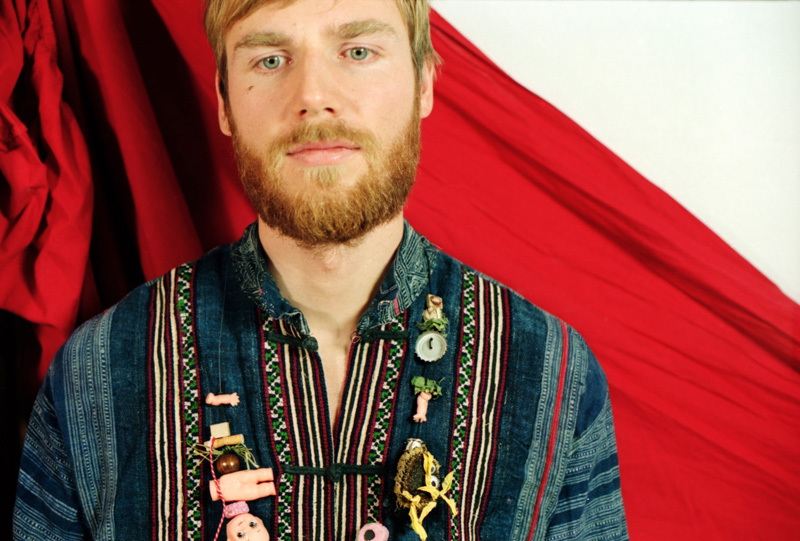 Highly artsy and following the story-like nature of The Migrant’s music, the video for “The Pony” is a great accompaniment to Bendtsen’s music. And the song itself is a great introduction to the music of The Migrant. Mary captures a common trait of The Migrant with her video for “The Pony”: the melancholy-to-sunshine effect. Bendtsen often begins his songs softly and with a hint of sadness, but a they grow and build into something much more monumental, the sun comes out and the dreariness disappears. I’ve been a fan since the band’s debut 2010 LP, Travels in Lowland. Opening track “The Organ Grinder” still grips me, as does “The Hurricane” off The Migrant’s 2011 follow-up Amerika. You get some of the same on Beads; some songs are soft and fairly minimal whereas others have that full, truly lovable folk-pop sound of the aforementioned tracks. Songs like “Carriage” and “Kids”, “Nuts” and, of course, “The Pony”. Look for Beads come October 29. Watch “The Pony” and listen to “Strangers” below.